Scene: Morning talk show hosts Karla Estrada and Melai Cantiveros-Francisco of ABS-CBN’s Magandang Buhay were spotted in Bohol last week. They were here to shoot for a Bohol episode. Sadly, Jolina Magdangal-Escueta was not able to join her co-hosts. One of their favorite destinations was Cuisina Ni Tisay in Carmen town. In one of the segments, Loboc Councilor Tessie Labunog-Sumampong demonstrated to Karla and Melai how to cook “balbacua,” a slightly gooey soup of beef “throwaways” — skin, tail, tripe, tendons, feet, etc…Watch the Bohol episode on Magandang Buhay this week. Scene: Mother’s Day always gets us feeling so emotional, simply because it’s such a day that we honor our mothers. We are so eternally grateful to have such an amazing Mama, Nanay, Nana, Ina, Ima, Ermats, Mamang, Inang, Mommy, Mudra! Moms deserve a break from household chores. Several restaurants in the city are offering free treats, Mother’s Day meals and special menus. Much love to The Hand That Rocks The Cradle! Tomorrow, May 14, we will decide who will run our villages for the next three years. Let us all join hands in prayer and in our own little ways in exercising our right to vote, and be part of the changes. Remember, your vote is your dignity. Vote according to the dictates of your conscience. Respect the decision of others in choosing their candidates. Seek to know the moral integrity, capabilities, and other personal qualities of the candidates you will vote for. Strive to understand the issues, platform, and programs of candidates and parties campaigning for your vote. Do not sell your vote. Do not vote for candidates using guns, goons, gold, and glitter. Do not vote for candidates tainted with graft and corruption. Do not vote for candidates simply because of “utang na loob” (debt of gratitude), popularity, good looks, or “pakikisama” (peer pressure). Do not vote for candidates living an immoral life. Always put the welfare of the country as top priority in choosing the candidate you will vote for. Loon town has many of them. Nobody seemed to have warned us that the “Tajang Pass Causeway and Mangrove Garden Road” on Sandingan Island would also bring flashbacks of failed loves and embittered “hugot” lines (emotional quotations). But that is exactly what happened when people recognized the 99 blocks along the road were painted with colors and written with a few punches of hugot lines, prompting some people to take to social media in a storm and post their photos. In fact, it caught the attention of GMA News to feature the rising destination last week. The sadder, the better. It hurts, you know! The funnier, the best. It melts your heart! Nowadays, most Filipino people are using #Hugot lines, a song, poem, quotation, or even a simple statement, in expressing their emotions for someone. At “99 Hugot Lines,” there are hugot lines for love and relationships and environment. And if you’re looking for Mr and Miss Right? Maybe you can find it there. “Yes, I love it here. The view is nice. 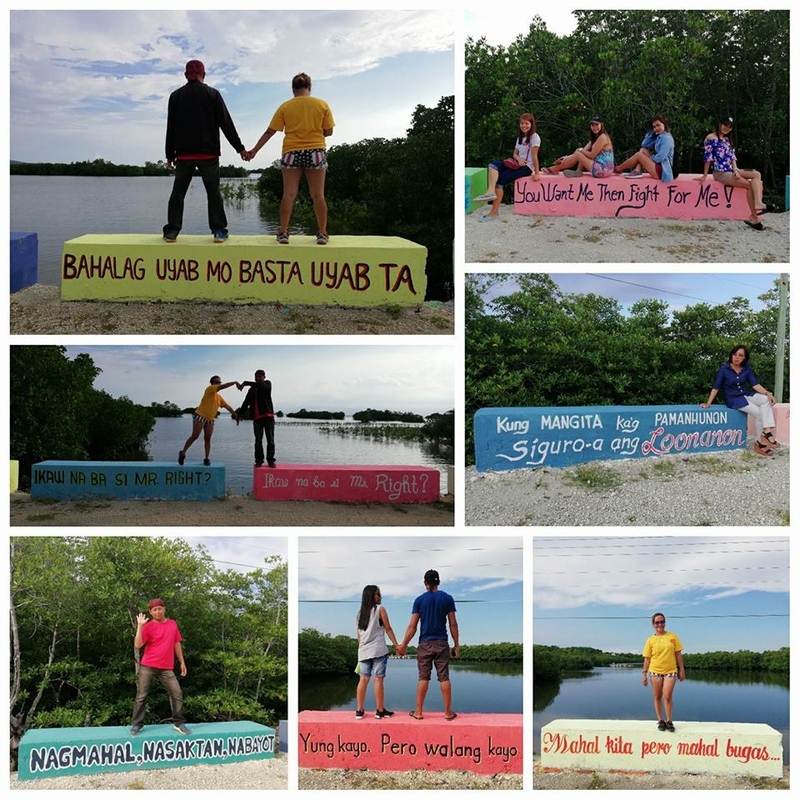 And I can relate of the hugot lines,” said Mary Grace Castañeras who visited the “99 Hugot lines,” a project of the Loon Tourism Office with Loon youth volunteers. “We are currently working for our tourism in Loon. One of the tourist destinations to develop is from Moalong to Tajas Pass this way. This is the initial,” said Maricris Marañon, a staff of Loon Tourism Office. “Loonanons can write down their hugot line in expressing their own feelings. This is just an initial and later on we still have other tourist destinations to develop soon,” she added. For years, Celso “Dodo” Dangoy Pamaong has been managing his two lotto outlets. But this year, he tried something different: to run as barangay (village) councilor in Cogon in this city. “Gusto ko moserbisyo (I want to serve),” he said as he sat in a wooden chair infront of the lotto outlet along Belderol Street. “Suwayan nako (I will give it a try),” he quipped. by voters in his village: free rice twice a month. But Pamaong vowed that it would not just be an empty promise if elected councilor of Barangay Cogon in Tagbilaran during Monday’s barangay and Sangguniang Kabataan elections. “Unsaon mana ang kuwarta nako? Naay negosyo, walay asawa (What would I do with my money? I have a business. 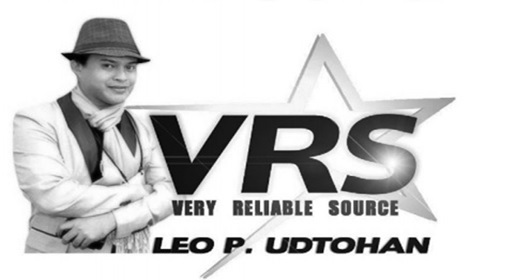 I don’t have a wife),” he told VRS. Pamaong, 70 and a widower, operates two lotto outlets in Barangay Cogon, the most populous village in Tagbilaran with 17,114 residents. A neophyte, he said his decision to join in the electoral exercise was propelled by the yearning to serve. He filed his certificate of candidate and made his campaign posters. Some people didn’t take his campaign seriously and laughed at it. Others just rolled their eyes, probably thinking that this was just one of the typical empty promises of politicians running for public office. But Pamaong said he was pulling anyone’s leg when he made that promise. “Dili na binotbot nga saad. Mao na akong saad sa indigent kay wala nakahunahuna muhatag ana (It is not a lie. It is my promise to the indigents because no one has ever thought giving it),” he said. He, however, could not say how many kilos would be given to the poor except that it would not be less than a kilo. The beneficiaries would be taken from the list of identified indigents from the Department of Social Welfare and Development. Distribution would be done by sitios (sub-villages). Pamaong said the rice subsidy would continue as long as he was in the position since the funds used to buy the rice would be taken from his own pocket. There are 838,533 registered voters expected to cast their votes for barangay, and 319,546 registered voters for SK in Bohol. There were 28,205 candidates who filed their certificates of candidacy for the barangay and SK elections. Of the 2,066 candidates running for barangay captains, 336 were unopposed. Candidates for barangay councilors reached 15,481. Of the 2,042 candidates for SK chair, 363 were unopposed. There were 8,630 candidates for SK councilors.